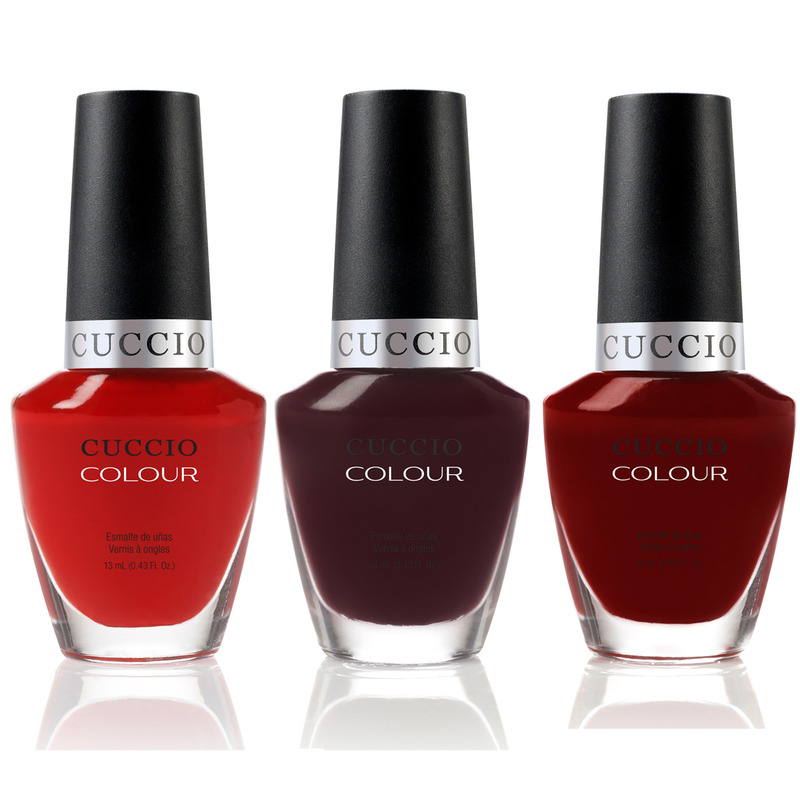 Cuccio Colour has three passionate red shades: A Pisa My Heart, Positively Positano, and Pompeii It Forward. 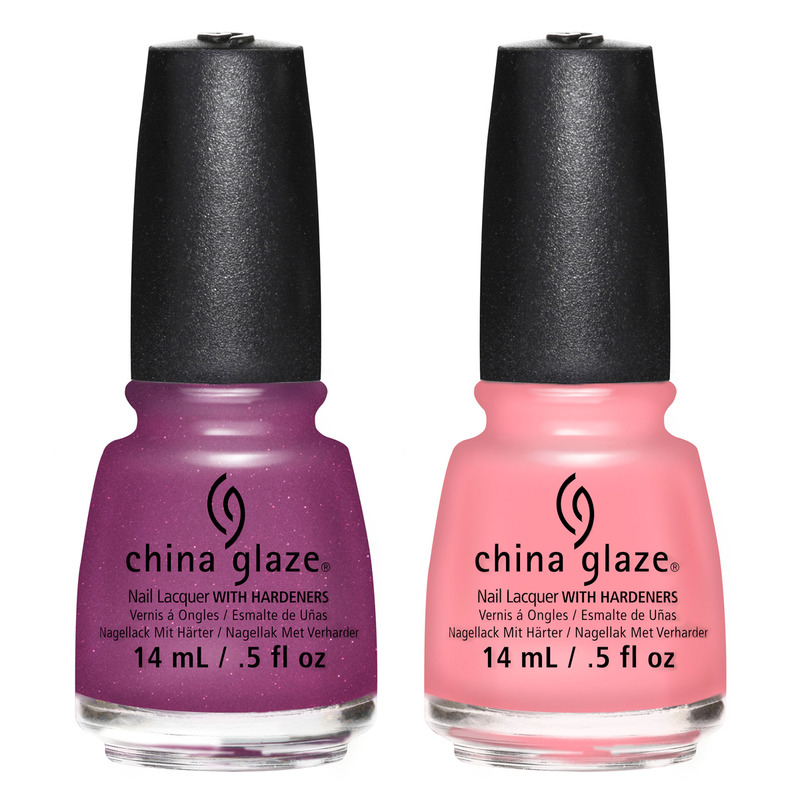 From their House of Colour Spring 2016 collection, China Glaze has a couple shades we have our heart set on: Shut the Front Door and Pink or Swim. Duri has five new Valentine’s Day shades: Everyday is a Valentine, Cupid Rules, Iced Roses, Unexpected Kiss, and Sweetheart. 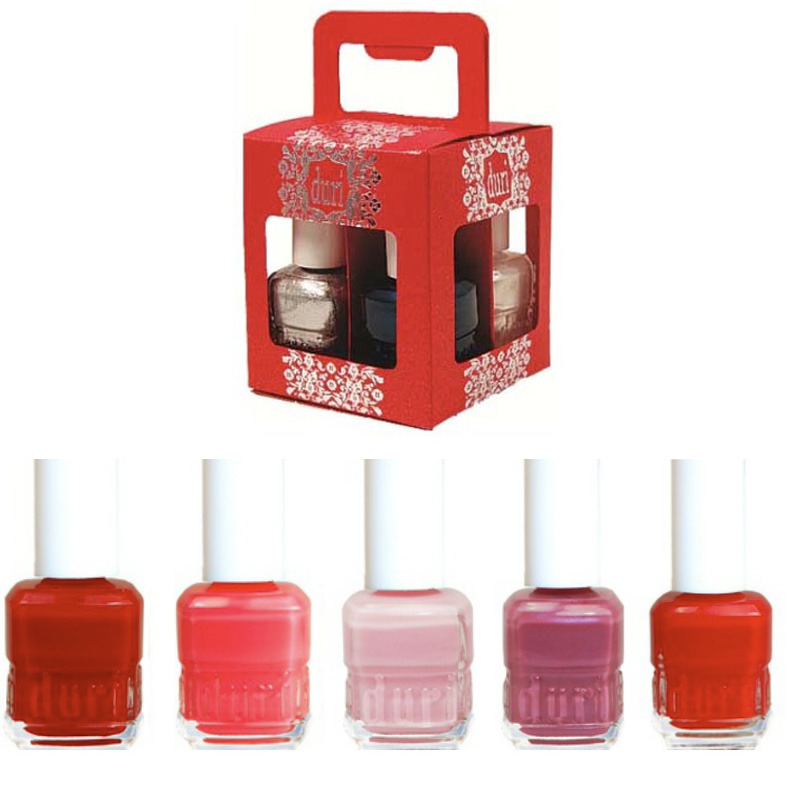 Plus you can opt to buy polishes in a festive four-pack box for just $24. 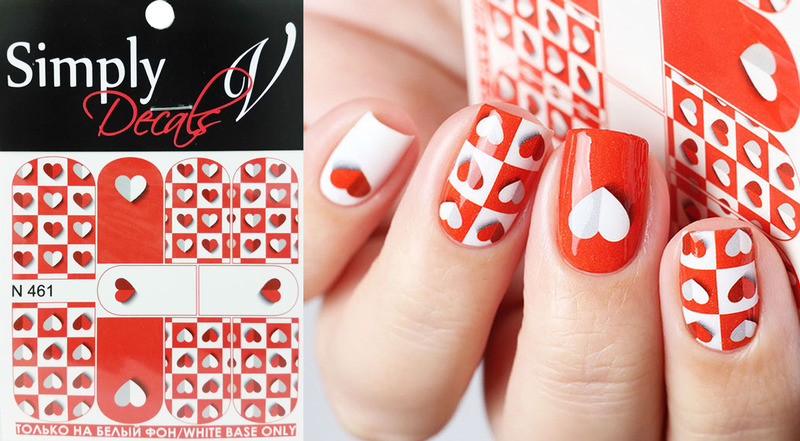 EnVogue offers Simply Decals in several new heart designs. 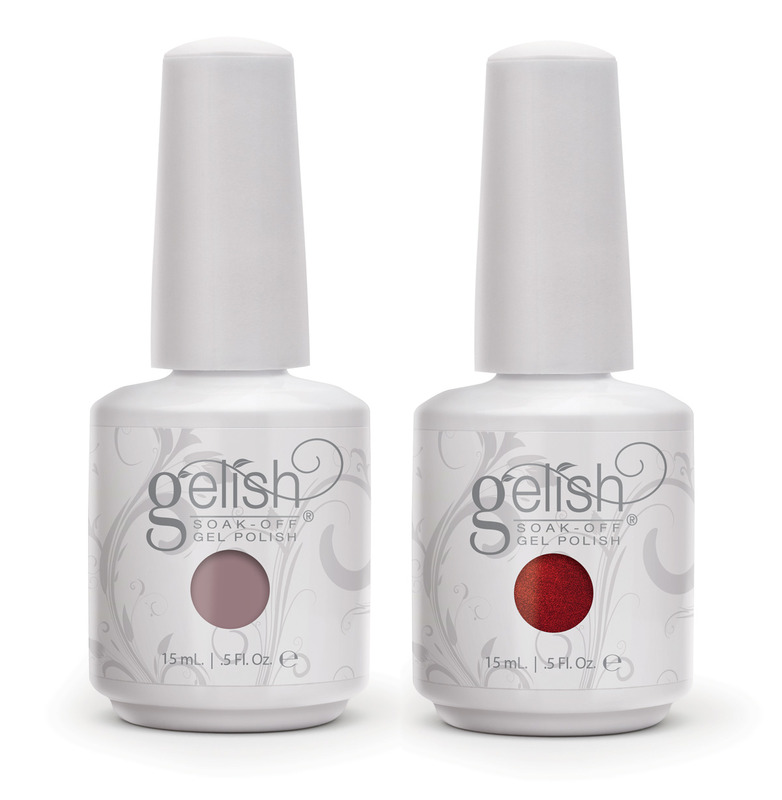 Gelish’s Botanical Awakenings set for Spring 2016 features romantic gel polish shades like I Or-Chid You Not and What’s Your Poinsettia! Morgan Taylor has a new collaboration collection with Kung Fu Panda 2! Two shades to invest in: Tigress Knows Best and Its Gonna Be Mei. Whether you’re doing glitter placement or want a glitter-packed top coat, use INM’s Mi Amor. 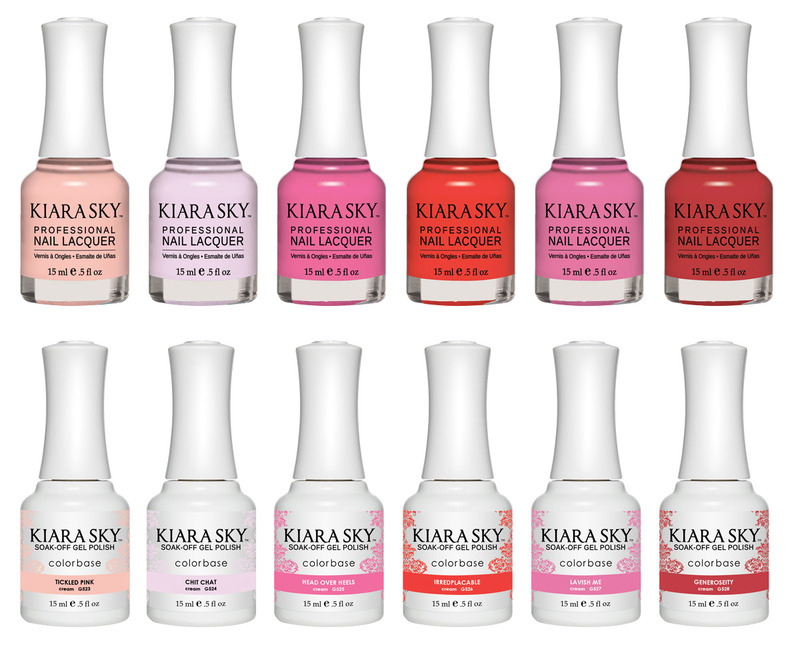 Kiara Sky‘s Aura collection has a set of matching lacquers and gels, so clients can be polished from their fingertips to their toes! If a romantic getaway isn’t in the cards for February, your polish colors can certainly tide you over! 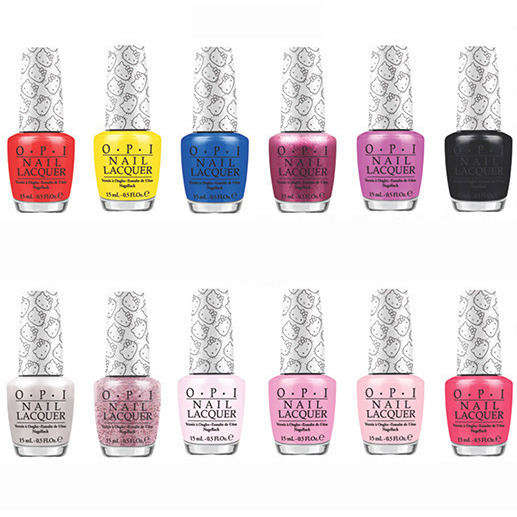 Colors in Mavala’s First Class Spring 2016 collection have names like Fiji, Tahiti, and Cape Town. Omega Labs USA has some vibrant reds (and a powerful pink) that should be a new staple in your collection! Pictured the colors #383, #386, #386G, and #396. OPI’s new Hello Kitty set has a blue and a yellow yes – but with all those shades of pink, there’s a perfect blush hue for every skin tone! Keep clients’ feet warm while doing pedicures by adding Pedisavers to your pedicure packages this season! The designs with larger hearts are Valentine Hearts and the ones with smaller hearts are called My Valentine. Pedi-Sox also help keep feet warm and even help lock in the moisture of hydrating lotions during a pedicure service. 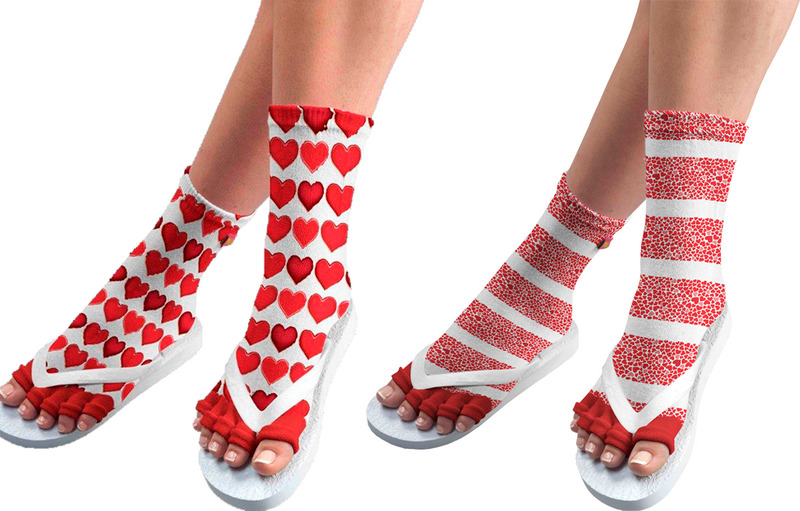 These Pedi-Sox are in their Hearts of Love pattern. SpaRitual will help you give skin extra TLC this Valentine’s. This February, they are launching their Limited Edition Yuzu Rose collection with includes a sugar scrub, a bath salt, a soak tonic, a moisturizing body butter, a body wash, a dry oil, and even four lip gloss shades.